Stand Up Paddleboards in Stock!! ​As an authorized dealer, you can purchase your Stand up Paddleboard here! Ask me how! Needing some at home workouts or Shakeology? ​Begin your Beachbody experience with me! Discover and purchase products here! Supplements for weight loss and muscle building! 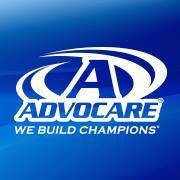 Purchase all of your Advocare products through LT Personal Training. Get started NOW!